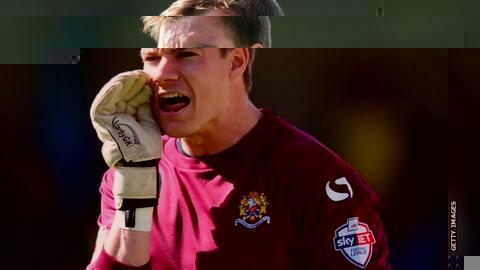 Dagenham & Redbridge have released goalkeeper Chris Lewington and defender Femi Ilesanmi. Lewington, 25, joined the Daggers in 2009 and went on to make 143 appearances for the League Two club. Left-back Ilesanmi, 23, arrived in east London in summer 2010 and, after a loan spell at Histon, featured a total of 133 times for the Daggers. Striker Alex Osborn, who signed for the club in 2010 but never made a first team appearance, has also departed. The 20-year-old had loan spells at Thurrock, Chelmsford, Billericay and Ebbsfleet during his time at Victoria Road. "Lewington made a decision that he felt it was the right time for him to leave, I've known him since he was 17 and respected his decision," Daggers manager Wayne Burnett told the club website. "Femi, it was also the right time for him to move on, he's been a fantastic servant for this football club and I wish him every success. "Alex has been here since he was 16 and has never quite got the opportunity. Hopefully he can go on and prove us all wrong, he's got some fantastic attributes."